The entries have been judged, and now we're gearing up for our National Presentation Ceremony! With winners flying in from across the countryside, it's almost time to present their awards. 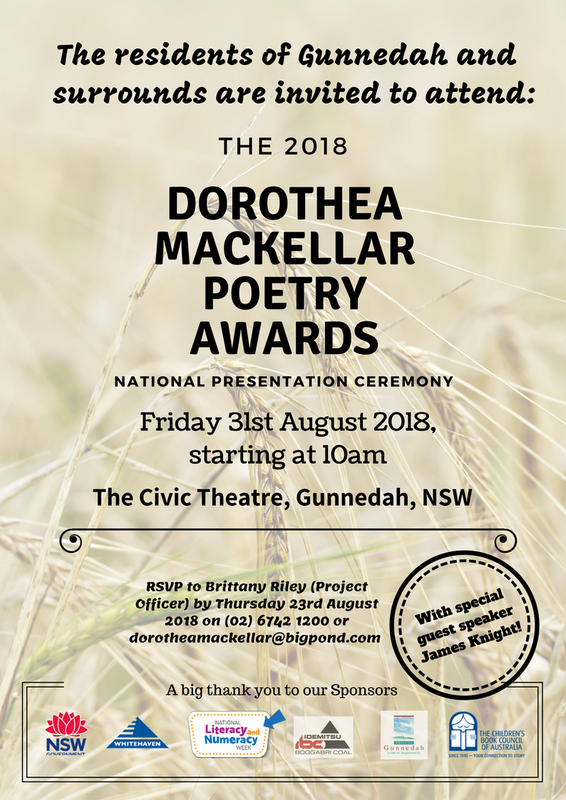 Members of the general public are invited to attend the ceremony with members of the Dorothea Mackellar Memorial Society, our Patron, Judges, Guest Speaker, James Knight, and other special guests. Details of the ceremony are contained in the invitation, and we cannot wait to officially crown this year's winning entries. Keep an eye out over the coming weeks for official photos and results from the 2018 competition!